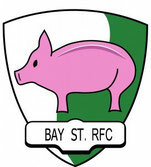 Heading into its 12th year, the club will endeavor to share their renowned brand of champagne rugby on foreign soil. Plans are underway for a preseason tour in April 2019. Stay tuned for more information. In late April, a party of 43 returned to Cayman. Was the azure waters, the 30 degree sunshine, or the idea of revenging their loss to the national select XV three years earlier, which drew them south? Regardless, two quality matches were held, helping the Caymanians prepare for their upcoming international fixtures. The inaugural tour. For day-by-day commentary, click here. A full match replay can be found here.